I don’t really know anyone who doesn’t love a good pasta dish!! I love whipping up pasta on a cold night 🙂 This is a really yummy comfort food to have. I also tried this with quinoa and it is super yummy with some extra nutrients. Why not try both and let me know which you prefer. Enjoy this super deeelish Honey Mustard Penne!! Boil pot of water, add pinch of Salt. Add pasta to a boiling water and cook for approx. 8 minutes until al dente. Strain the pasta and tip it back into the pot, add the honey, mustard and a splash of oil while it is still hot to ensure the ingredients combine well with the pasta. 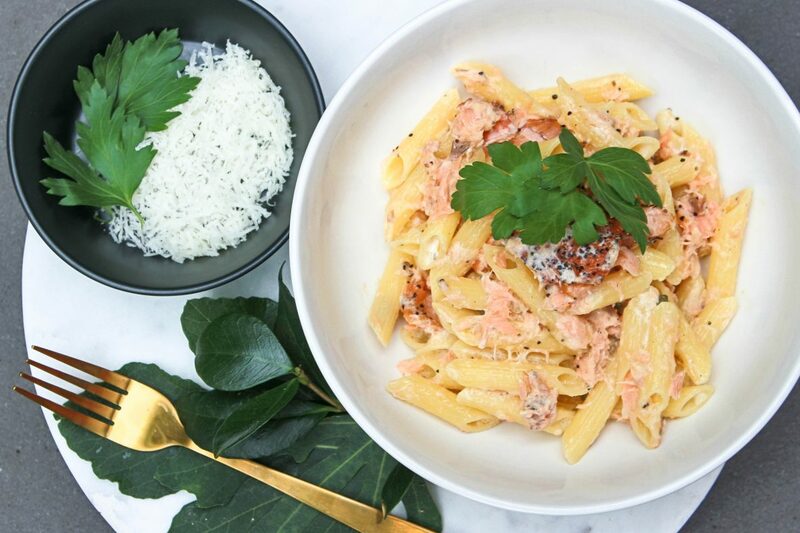 Add cream and broken up salmon fillet, capers and dill and pecorino to the pasta and combine well. Squeeze two lemon cheeks (taste to preference) into the pasta and stir. The best thing is you can have this served as a Hot or Cold pasta dish.